"Mesa Verde" redirects here. For other uses, see Mesa Verde (disambiguation). After 9600 BCE, the area's environment grew warmer and drier, a change that brought to central Mesa Verde pine forests and the animals that thrive in them. Paleo-Indians began inhabiting the mesa in increasing numbers c. 7500, though it is unclear whether they were seasonal occupants or year-round residents. Development of the atlatl during this period made it easier for them to hunt smaller game, a crucial advance at a time when most of the region's big game had disappeared from the landscape. 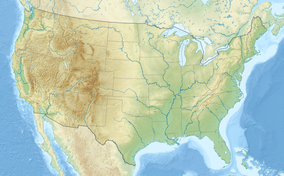 6000 BCE marks the beginning of the Archaic period in North America. Archaeologists differ as to the origin of the Mesa Verde Archaic population; some believe they developed exclusively from local Paleo-Indians, called the Foothills Mountain Complex, but others suggest that the variety of projectile points found in Mesa Verde indicates influence from surrounding areas, including the Great Basin, the San Juan Basin, and the Rio Grande Valley. The Archaic people probably developed locally, but were also influenced by contact, trade, and intermarriage with immigrants from these outlying areas. By the late Archaic, more people were living in semi-permanent rockshelters that preserved perishable goods such as baskets, sandals, and mats. They started to make a variety of twig figurines that usually resembled sheep or deer. The late Archaic is marked by increased trade in exotic materials such as obsidian and turquoise. Marine shells and abalone from the Pacific coast made their way to Mesa Verde from Arizona, and the Archaic people worked them into necklaces and pendants. Rock art flourished, and people lived in rudimentary houses made of mud and wood. Their early attempts at plant domestication eventually developed into the sustained agriculture that marked the end of the Archaic period, c. 1000. 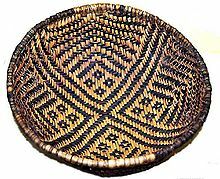 In addition to the fine basketry for which they were named, Basketmaker II people fashioned a variety of household items from plant and animal materials, including sandals, robes, pouches, mats, and blankets. They also made clay pipes and gaming pieces. 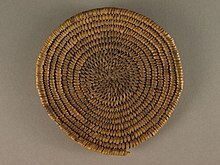 Basketmaker men were relatively short and muscular, averaging less than 5.5 feet (1.7 m) tall. Their skeletal remains reveal signs of hard labor and extensive travel, including degenerative joint disease, healed fractures, and moderate anemia associated with iron deficiency. They buried their dead near or amongst their settlements, and often included luxury items as gifts, which might indicate differences in relative social status. Basketmaker II people are also known for their distinctive rock art, which can be found throughout Mesa Verde. They depicted animals and people, in both abstract and realistic forms, in single works and more elaborate panels. A common subject was the hunchbacked flute player that the Hopi call Kokopelli. By 500, CE atlatls were being supplanted by the bow and arrow and baskets by pottery, marking the end of the Basketmaker II Era and the beginning of the Basketmaker III Era. Ceramic vessels were a major improvement over pitch-lined baskets, gourds, and animal hide containers, which had been the primary water storage containers in the region. Pottery also protected seeds against mold, insects, and rodents. By 600, Mesa Verdeans were using clay pots to cook soups and stews. Year-round settlements first appear around this time. The population of the San Juan Basin increased markedly after 575, when there were very few Basketmaker III sites in Mesa Verde; by the early 7th century, there were many such sites in the mesa. For the next 150 years, villages typically consisted of small groups of one to three residences. The population of Mesa Verde c. 675 was approximately 1,000 to 1,500 people. Beans and new varieties of corn were introduced to the region c. 700. By 775, some settlements had grown to accommodate more than one hundred people; the construction of large, above-ground storage buildings began around this time. Basketmakers endeavored to store enough food for their family for one year, but also retained residential mobility so they could quickly relocate their dwellings in the event of resource depletion or consistently inadequate crop yields. By the end of the 8th century, the smaller hamlets, which were typically occupied for ten to forty years, had been supplanted by larger ones that saw continuous occupation for as many as two generations. Basketmaker III people established a tradition of holding large ceremonial gatherings near community pit structures. 750 marks the end of the Basketmaker III Era and the beginning of the Pueblo I period. The transition is characterized by major changes in the design and construction of buildings and the organization of household activities. Pueblo I people doubled their capacity for food storage from one year to two and built interconnected, year-round residences called pueblos. Many household activities that had previously been reserved for subterranean pithouses were moved to these above-ground dwellings. This altered the function of pithouses from all-purpose spaces to ones used primarily for community ceremonies, although they continued to house large extended families, particularly during winter months. During the late 8th century, Mesa Verdeans began building square pit structures that archaeologists call protokivas. They were typically 3 or 4 feet (0.91 or 1.22 m) deep and 12 to 20 feet (3.7 to 6.1 m) wide. Mesa Verdean farmers increasingly relied on masonry reservoirs during the Pueblo II Era. During the 11th century, they built check dams and terraces near drainages and slopes in an effort to conserve soil and runoff. These fields offset the danger of crop failures in the larger dry land fields. By the mid-10th and early 11th centuries, protokivas had evolved into smaller circular structures called kivas, which were usually 12 to 15 feet (3.7 to 4.6 m) across. These Mesa Verde-style kivas included a feature from earlier times called a sipapu, which is a hole dug in the north of the chamber and symbolizes the Ancestral Puebloan's place of emergence from the underworld. At this time, Mesa Verdeans began to move away from the post and mud jacal-style buildings that marked the Pueblo I Period toward masonry construction, which had been utilized in the region as early as 700, but was not widespread until the 11th and 12th centuries. The expansion of Chacoan influence in the Mesa Verde area left its most visible mark in the form of Chaco-style masonry great houses that became the focal point of many Mesa Verdean villages after 1075. Far View House, the largest of these, is considered a classic Chaco "outlier," on which construction likely began between 1075 and 1125, although some archaeologists argue that it was begun as early as 1020. The era's timber and earth unit pueblos were typically inhabited for about twenty years. During the early 12th century, the locus of regional control shifted away from Chaco to Aztec, New Mexico, in the southern Mesa Verde region. [b] By 1150, drought had once again stressed the region's inhabitants, leading to a temporary cessation of great house construction at Mesa Verde. The 13th century saw 69 years of below average rainfall in the Mesa Verde region, and after 1270 the area suffered from especially cold temperatures. Dendrochronology indicates that the last tree felled for construction on the mesa was cut in 1281. There was a major decline in ceramic imports to the region during this time, but local production remained steady. Despite challenging conditions, the Puebloans continued to farm the area until a severely dry period from 1276 to 1299 ended seven hundred years of continuous human occupation at Mesa Verde. Archaeologists refer to this period as the "Great Drought". The last inhabitants of the mesa left the area c. 1285. During the Pueblo III period (1150 to 1300), Mesa Verdeans built numerous stone masonry towers that likely served as defensive structures. They often incorporated hidden tunnels connecting the towers to associated kivas. Warfare was conducted using the same tools the Mesa Verdeans used for hunting game, including bows and arrows, stone axes, and wooden clubs and spears. They also crafted hide and basket shields that were used only during battles. Periodic warfare occurred on the mesa throughout the 13th century. Civic leaders in the region likely attained power and prestige by distributing food during times of drought. This system probably broke down during the "Great Drought", leading to intense warfare between competing clans. Increasing economic and social uncertainty during the century's final decades led to widespread conflict. Evidence of partly burned villages and post-mortem trauma have been uncovered, and the residents of one village appear to have been the victims of a site-wide massacre. Evidence of violence and cannibalism has been documented in the central Mesa Verde region. [c] While most of the violence, which peaked between 1275 and 1285, is generally ascribed to in-fighting amongst Mesa Verdeans, archaeological evidence found at Sand Canyon Pueblo, in Canyons of the Ancients National Monument, suggests that violent interactions also occurred between Mesa Verdeans and people from outside the region. Evidence of the attacks was discovered by members of the Crow Canyon Archaeological Center during the 1990s. The assaults, which also occurred at the national monument's Castle Rock Pueblo, were dated to c. 1280, and are considered to have effectively ended several centuries of Puebloan occupation at those sites. Many of the victims showed signs of skull fractures, and the uniformity of the injuries suggest that most were inflicted with a small stone axe. Others were scalped, dismembered, and cannibalized. The anthropophagy (cannibalism) might have been undertaken as a survival strategy during times of starvation. The archaeological record indicates that, rather than being isolated to the Mesa Verde region, violent conflict was widespread in North America during the late 13th and early 14th centuries, and was likely exacerbated by global climate changes that negatively affected food supplies throughout the continent. 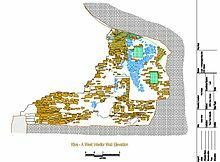 Although Chaco Canyon might have exerted regional control over Mesa Verde during the late 11th and early 12th centuries, most archaeologists view the Mesa Verde region as a collection of smaller communities based on central sites and related outliers that were never fully integrated into a larger civic structure. Several ancient roads, averaging 15 to 45 feet (4.6 to 13.7 m) wide and lined with earthen berms, have been identified in the region. Most appear to connect communities and shrines; others encircle great house sites. The extent of the network is unclear, but no roads have been discovered leading to the Chacoan Great North Road, or directly connecting Mesa Verde and Chacoan sites. Pueblo buildings were built with stone, windows facing south, and in U, E and L shapes. The buildings were located more closely together and reflected deepening religious celebration. Towers were built near kivas and likely used for lookouts. Pottery became more versatile, including pitchers, ladles, bowls, jars and dishware for food and drink. White pottery with black designs emerged, the pigments coming from plants. Water management and conservation techniques, including the use of reservoirs and silt-retaining dams, also emerged during this period. Styles for these sandstone/mortar constructions, both surface and cliff dwellings, included T-shaped windows and doors. This has been taken by some archaeologists, including Stephen H. Lekson, as evidence of the continuing reach of the Chacoan system. Other researchers see these elements as part of a more generalized Puebloan style or spiritual significance rather than evidence of a continuing specific elite socioeconomic system. Most Mesa Verdeans practiced dry farming, which relied on rain to water their crops, but others utilized runoff, springs, seeps, and natural collection pools. Starting in the 9th century, they dug and maintained reservoirs that caught runoff from summer showers and spring snowmelt; some crops were watered by hand. Archaeologists believe that prior to the 13th century, springs and other sources of water were considered shared public resources, but as Mesa Verdeans moved into increasingly larger pueblos built near or around water supplies control was privatized and limited to members of the surrounding community. Mesa Verdeans typically harvested local small game, but sometimes organized hunting parties that traveled long distances. Their main sources of animal protein came from mule deer and rabbits, but they occasionally hunted Bighorn sheep, antelope, and elk. They began to domesticate turkeys starting around 1000, and by the 13th century consumption of the animal peaked, supplanting deer as the primary protein source at many sites. These domesticated turkeys consumed large amounts of corn, which further deepened reliance on the staple crop. Puebloans wove blankets from turkey feathers and rabbit fur, and made implements such as awls and needles from turkey and deer bones. Despite the availability of fish in the area's rivers and streams, archaeological evidence suggests that they were rarely eaten. Scholars are divided as to whether pottery was invented in the Four Corners region or introduced from the south. Specimens of shallow, unfired clay bowls found at Canyon de Chelly indicate the innovation might have been derived from using clay bowls to parch seeds. Repeated uses rendered these bowls hard and impervious to water, which might represent the first fired pottery in the region. An alternate theory suggests that pottery originated in the Mogollon Rim area to the south, where brown-paste bowls were used during the first few centuries of the common era. Others believe pottery was introduced to Mesa Verde from Mexico, c. 300 CE. There is no evidence of ancient pottery markets in the region, but archaeologists believe that local potters exchanged decorative wares between families. Cooking pots made with crushed igneous rock tempers from places like Ute Mountain were more resilient and desirable, and Puebloans from throughout the region traded for them. Neutron activation analysis indicates that much of the black-on-white pottery found at Mesa Verde was produced locally. Cretaceous clays from both the Dakota and Menefee Formations were used in black-on-white wares, and Mancos Formation clays for corrugated jars. [i] Evidence that pottery of both types moved between several locations around the region suggests interaction between groups of ancient potters, or they might have shared a common source of raw materials. The Mesa Verde black-on-white pottery was produced at three locations: Sand Canyon, Castle Rock, and Mesa Verde. Archeological evidence indicates that nearly every household had at least one member who worked as a potter. Trench kilns were constructed away from pueblos and closer to sources of firewood. Their sizes vary, but the larger ones were up to 24 feet (7.3 m) long and thought to have been shared kilns that served several families. Designs were added to ceramic vessels with a Yucca-leaf brush and paints made from iron, manganese, beeplant, and tansy mustard. The region's precipitation pattern is bimodal, meaning agriculture is sustained through snowfall during winter and autumn and rainfall during spring and summer. The climate is semi-arid. Water for farming and consumption was provided by summer rains, winter snowfall, and seeps and springs in and near the Mesa Verde villages. 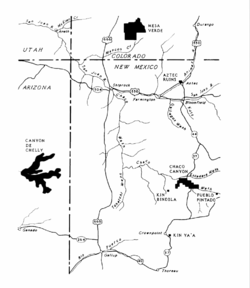 At 7,000 feet (2,100 m), the middle mesa areas were typically ten degrees Fahrenheit (5.5 °C) cooler than the mesa top, which reduced the amount of water needed for farming. The cliff dwellings were built to take advantage of solar energy. The angle of the sun in winter warmed the masonry of the cliff dwellings, warm breezes blew from the valley, and the air was ten to twenty degrees warmer in the canyon alcoves than on the top of the mesa. 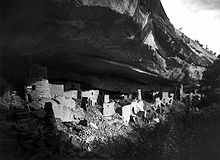 In the summer, with the sun high overhead, much of the village was protected from direct sunlight in the high cliff dwellings. Occasional trappers and prospectors visited, with one prospector, John Moss, making his observations known in 1873. 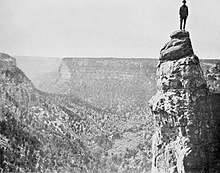 The following year, Moss led eminent photographer William Henry Jackson through Mancos Canyon, at the base of Mesa Verde. There, Jackson both photographed and publicized a typical stone cliff dwelling. Geologist William H. Holmes retraced Jackson's route in 1875. Reports by both Jackson and Holmes were included in the 1876 report of the Hayden Survey, one of the four federally financed efforts to explore the American West. These and other publications led to proposals to systematically study Southwestern archaeological sites. The Wetherills also hosted Gustaf Nordenskiöld, the son of polar explorer Adolf Erik Nordenskiöld, in 1891. Nordenskiöld was a trained mineralogist who introduced scientific methods to artifact collection, recorded locations, photographed extensively, diagrammed sites, and correlated what he observed with existing archaeological literature as well as the home-grown expertise of the Wetherills. He removed a lot of artifacts and sent them to Sweden, where they eventually went to the National Museum of Finland. Nordenskiöld published, in 1893, The Cliff Dwellers of the Mesa Verde. When Nordenskiöld shipped the collection that he made of Mesa Verde artifacts, the event initiated concerns about the need to protect Mesa Verde land and its resources. In 1889, Goodman Point Pueblo became the first pre-Columbian archaeological site in the Mesa Verde region to gain federal protection. It was the first such site to be protected in the US. Virginia McClurg was diligent in her efforts between 1887 and 1906 to inform the United States and European community of the importance of protecting the important historical material and dwellings in Mesa Verde. Her efforts included enlisting support from 250,000 women through the Federation of Women's Clubs, writing and having published poems in popular magazines, giving speeches domestically and internationally, and forming the Colorado Cliff Dwellers Association. The Colorado Cliff Dwellers' purpose was to protect the resources of Colorado cliff dwellings, reclaiming as much of the original artifacts as possible and sharing information about the people who dwelt there. A fellow activist for protection of Mesa Verde and prehistoric archaeological sites included Lucy Peabody, who, located in Washington, D.C., met with members of Congress to further the cause. Former Mesa Verde National Park superintendent Robert Heyder communicated his belief that the park might have been far more significant with the hundreds of artifacts taken by Nordenskiöld. Parties of "curio seekers" camped on the ruin for several winters, and it is reported that many hundred specimens there have been carried down the mesa and sold to private individuals. Some of these objects are now in museums, but many are forever lost to science. In order to secure this valuable archaeological material, walls were broken down ... often simply to let light into the darker rooms; floors were invariably opened and buried kivas mutilated. To facilitate this work and get rid of the dust, great openings were broken through the five walls which form the front of the ruin. Beams were used for firewood to so great an extent that not a single roof now remains. This work of destruction, added to that resulting from erosion due to rain, left Cliff Palace in a sad condition. Many artifacts from Mesa Verde are now located in museums and private collections in the US and across the world. A representative selection of pottery vessels and other objects, for example, is now in the British Museum in London. In 1906, President Theodore Roosevelt approved creation of the Mesa Verde National Park and the Federal Antiquities Act of 1906. The park was an effort to "preserve the works of man" and was the first park created to protect a location of cultural significance. The park was named with the Spanish term for green table because of its forests of juniper and piñon trees. Between 1908 and 1922, Spruce Tree House, Cliff Palace, and Sun Temple ruins were stabilised. Most of the early efforts were led by Jesse Walter Fewkes. During the 1930s and 40s, Civilian Conservation Corps workers, starting in 1932, played key roles in excavation efforts, building trails and roads, creating museum exhibits and constructing buildings at Mesa Verde. From 1958 to 1965, Wetherill Mesa Archaeological Project included archaeological excavations, stabilization of sites, and surveys. With excavation and study of eleven Wetherill Mesa sites, it is considered the largest archaeological effort in the US. The project oversaw the excavation of Long House and Mug House. 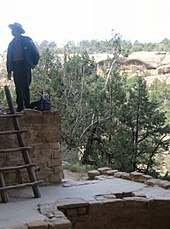 Clashes between non-Indigenous environmentalists and local tribes surrounding the ruins at Mesa Verde began even before the park's official establishment. Conflicts over who laid claim to the land surrounding the ruins came to fruition in 1911, when the US government wanted to secure more land for the park that was owned by the Ute Indians. The Utes were reluctant to agree to the land swap proposed by the government, noting that the land they were seeking was the best land the tribe owned. Frederick Abbott, working with Indian Office official James McLaughlin, proclaimed to be an ally to the Ute in negotiations. Abbott later claimed that the "government was stronger than the Utes," saying that when the government finds "old ruins on land that it wants to take for public purposes, it has the right to take it ..." Feeling they were left with no other options, the Utes reluctantly agreed to trade the 10,000 acres on Chapin Mesa for 19,500 acres on Ute Mountain. The Utes continued to battle the Bureau of Indian Affairs to prevent more Ute land from being incorporated into the park. In 1935, the BIA attempted to gain back some the land traded in 1911. 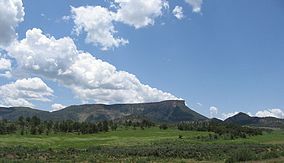 Additionally, superintendent Jesse Nusbaum later confessed that the Ute Mountain land traded for Chapin Mesa in 1911 belonged to the tribe anyway, meaning the government had traded land that never belonged to them in the first place. Other issues unrelated to land disputes emerged as a result of park activities. In the 1920s, the park began offering "Indian ceremony" performances that gained popularity among visiting tourists; however, the ceremonies did not actually reflect the rites of the Ancient Puebloans that lived in the cliff dwellings nor the rites of the modern Ute. Navajo day laborers performed these rituals, resulting in "the wrong Indians doing the wrong dance on ... the wrong land." In addition to the inaccuracy of the ceremonies, a question of whether Navajo dancers were paid fairly also resulted in questions regarding the lack of local American Indians being employed in other capacities in the park. Additionally, the park offered little financial benefits to the Ute Mountain Ute despite their land swap making much of the park possible. The entrance to Mesa Verde National Park is on U.S. Route 160, approximately 9 miles (14 km) east of the community of Cortez and 7 miles (11 km) west of Mancos, Colorado. The park covers 52,485 acres (21,240 ha) It contains 4,372 documented sites, including more than 600 cliff dwellings. It is the largest archaeological preserve in the US. It protects some of the most important and best-preserved archaeological sites in the country. The park initiated the Archaeological Site Conservation Program in 1995. It analyses data pertaining to how sites are constructed and utilized. During the years 1996 to 2003, the park suffered from several wildfires. The fires, many of which were started by lightning during times of drought, burned 28,340 acres (11,470 ha) of forest, more than half the park. The fires also damaged many archaeological sites and park buildings. They were named: Chapin V (1996), Bircher and Pony (2000), Long Mesa (2002), and the Balcony House Complex fires (2003), which were five fires that began on the same day. The Chapin V and Pony fires destroyed two rock art sites, and the Long Mesa fire nearly destroyed the museum – the first one ever built in the National Park System – and Spruce Tree House, the third largest cliff dwelling in the park. Prior to the fires of 1996 to 2003, archaeologists had surveyed approximately ninety percent of the park. Dense undergrowth and tree cover kept many ancient sites hidden from view, but after the Chapin V, Bircher and Pony fires, 593 previously undiscovered sites were revealed – most of them date to the Basketmaker III and Pueblo I periods. Also uncovered during the fires were extensive water containment features, including 1,189 check dams, 344 terraces, and five reservoirs that date to the Pueblo II and III periods. In February 2008, the Colorado Historical Society decided to invest a part of its $7 million budget into a culturally modified trees project in the National Park. Located on the Wetherill Mesa, Long House is the second-largest Mesa Verdean village; approximately 150 people lived there. The location was excavated from 1959 through 1961, as part of the Wetherhill Mesa Archaeological Project. Long House was built c. 1200; it was occupied until 1280. The cliff dwelling features 150 rooms, a kiva, a tower, and a central plaza. Its rooms are not clustered like typical cliff dwellings. Stones were used without shaping for fit and stability. Two overhead ledges contain storage space for grain. One ledge seems to include an overlook with small holes in the wall to see the rest of the village below. A spring is accessible within several hundred feet, and seeps are located in the rear of the village. 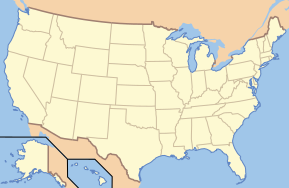 ^ When the Spanish first settled in the area in 1598, they proposed that the Utes and Navajo had driven the Ancestral Puebloans away from Mesa Verde. In 1891, Gustaf Nordenskiöld proposed that the Mesa Verdeans had been driven away from the area by hostile intruders. In the early 20th century, Jesse Walter Fewkes theorized that climate change had adversely affected water supplies in the region, which led to widespread crop failure and the rapid depopulation of the area. The last two theories remain at the foreground of the archaeological investigation of Mesa Verde. ^ During this time, the entirety of the Zuni people are believed to have migrated to western New Mexico. Archaeological evidence suggests that another large group of Mesa Verdeans migrated approximately 200 miles (320 km) to southwestern New Mexico, where they built structures that are now known as Pinnacle Ruin. ^ "NPS Annual Recreation Visits Report". National Park Service. Retrieved February 28, 2018. ^ "Mesa Verde National Park | Mesa Verde Country Colorado". Mesa Verde Country Visitor Information Bureau. Mesa Verde Country Visitor Information Bureau. Retrieved November 20, 2018. ^ Cameron 2006, p. 144. ^ Cameron 2006, pp. 144–45. ^ Cameron 2006, p. 142. ^ Keller 1998, pp. 30–42. ^ Burnham, Philip (2000). Indian Country, God's Country: Native Americans and the National Parks. Washington, D.C.: Island Press. pp. 62–66. ISBN 155963667X.